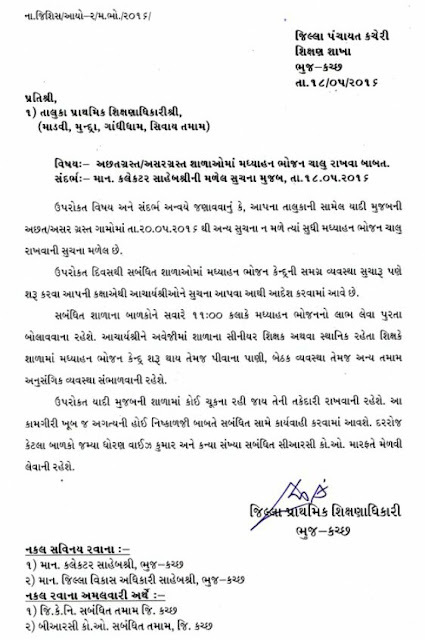 KUTCH :- ASARGRAST VISTAR NI SCHOOL MA VACATION MA PAN MADHYAHAN BHOJAN YOJNA CHALU RAKHVA BABAT PARIPATRA. 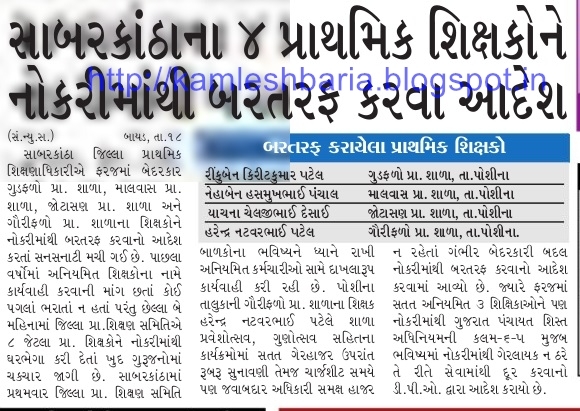 SABARKANTHA NA 4 SHIKSHAKO NE NOKARI MANTHI BARTARAF. NEWS REPORT JOVA MATE AHI CLICK KARO. Good information in this article thanks for sharing. How To Check Latest SSC CGL Notification ??? Check New updates In SSC CHSL Notification .